Jim Wharton (NO4A) announced on QRP-L this morning that Ten-Tec has received their first shipment of YouKits HB1B four band QRP transceivers and they are ready for sale. Ten-Tec is the exclusive distributor for for the Canadian company YouKits, hence will honor all warranties. The HB1B is not a kit, in fact it is fully assembled and ready for use. Click here to view/purchase the YouKits HB1B at Ten-Tec. Come enjoy the fun of QRP operation with this simple, light weight, palm of your hand, trail friendly quad band transceiver. TEN-TEC is the exclusive U.S. distributor for the YouKits brand. 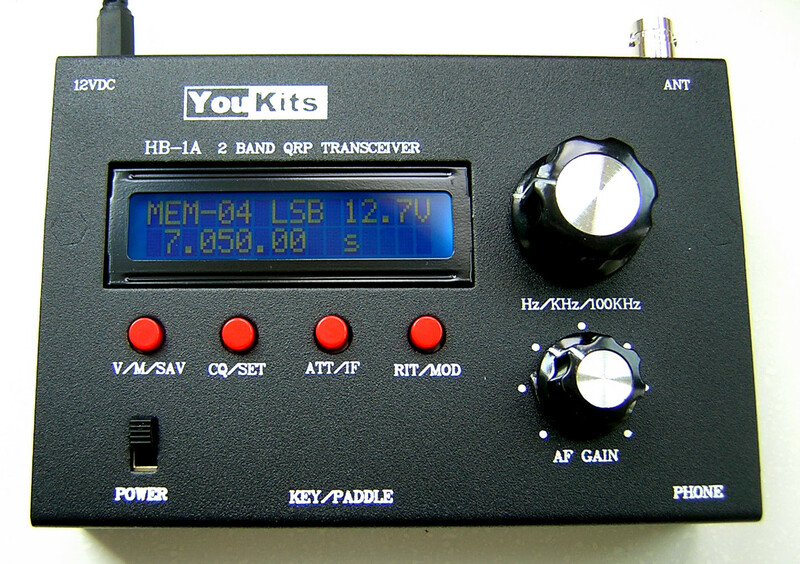 The YouKits HB1B covers 80-40-30-20 meter amateur bands. It is a fully assembled transceiver using the latest SMT technology. Receives SSB & CW. Transmits CW only. Powerful DDS electronic synthesizers allow 3.2-16 MHz general coverage receive. Includes internal battery holders for Lithium batteries. An external (optional) 12 to 14 VDC regulated power supply may also be used. Adjustable 4 pole crystal filter, 400Hz to 3KHz continuousely adjustable. An optional Lithium battery pack R9411 is available, requires slight modification to the radio. This entry was posted in Announcements, QRP Radios and tagged HB1B, Ten-Tec, Ten-Tec HB1B, YouKits HB1B. Bookmark the permalink. QRP=CW just can’t get better then this.